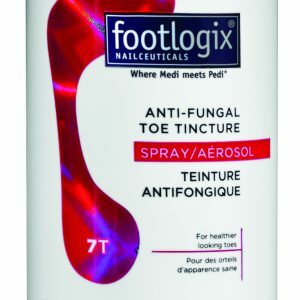 Footlogix Peeling Skin Formula with Dermal Infusion Technology® is proven to provide relief of peeling skin on the soles and itching between the toes resulting of Athlete’s Foot or fungal infection. 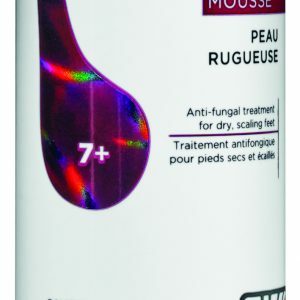 Non occlusive mousse is absorbed immediately and leaves no greasy residue. Foot wear can be worn right after application. Fragrance, oil and alcohol free. Ideal for all skin types, including diabetics. Dermatologist tested. Not tested on animals. 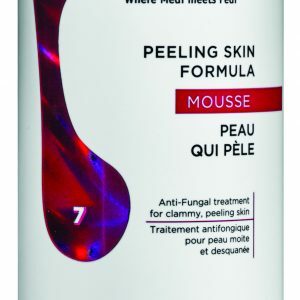 Footlogix Peeling Skin Formula with Dermal Infusion Technology® is proven to provide relief of peeling, itching, scaling and irritation of dry skin prone to fungal infection. Non occlusive mousse is absorbed immediately and leaves no greasy residue. Foot wear can be worn right after application. Fragrance, oil and alcohol free. Ideal for all skin types, including diabetics. Dermatologist tested. Not tested on animals. A natural formula that keeps nails looking clear and healthy. When used consistently as directed, this natural spray with organic Spirulina restores rough, unsightly nails to a healthy looking state. The formula will also help revitalize the appearance of the skin around the nails. Hygienic, easy to use applicator. Non tested on animals.